We had our Really Good Gifts Day with Coast radio on 5 July. It was a fruitful day! We are very grateful for the team at Coast, and all who tuned in and supported people affected by leprosy. If you missed the chance of giving a Really Good Gift on that day, you can still do it now! Your support will change lives! Please give a Really Good Gift and help someone with leprosy defeat this devastating disease. Choose to send an ecard or a physical card with envelope to your loved ones. Your donation goes to those most in need and you’ll have changed someone’s life! A school bag and writing materials will help a child recovering from leprosy to feel they belong at school and help them take pride in their work. An education is their best means of escaping poverty and improving their future prospects. If leprosy is left untreated it can damage the nerve endings that warn us when we hurt our feet. Unable to feel pain or irritation, feet become injured and disabled. Your gift of micro-fibre sandals with soft padding will protect feet for years. This is vital, especially for children, so they can step into adulthood with healthy feet. Schools often turn away children from leprosy-affected families, but the Leprosy Mission works hard to open school doors. Because leprosy makes life in poverty even more difficult, families cannot usually afford school materials, but your Really Good Gift provides a uniform, books and pens for a year. A child's best chance of escaping poverty is school. Girls in poverty often miss out on school. Even more so for girls affected by leprosy. Your Really Good Gift will pay her fees for a year. She will learn to read, and write, develop self-confidence and go on to the opportunity to learn a trade. Your gift will empower her for the rest of her life. This enables a person affected by leprosy to access a month of medicine to be cured from this dreadful disease, but cannot afford without you. Your gift is vital. 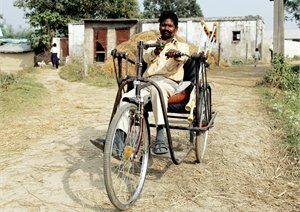 If leprosy treatment with multi-drug therapy is started early enough, long-term disability can be completely avoided. A simple sewing kit can give someone affected by leprosy the chance to work and earn a living again. By stitching and mending clothes a girl will be given vocation, and a woman will be able to support and look after her children. It is truly a wonderful gift. Blindness in poverty is a disaster - even more so when leprosy numbs your nerves so you cannot even feel your way. 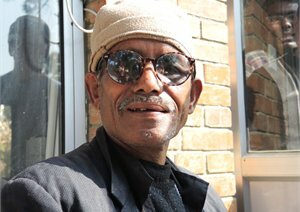 What a blessing, then, when leprosy-related blindness can be reversed through surgery. Your gift will restore sight and hope. Every hospital bed is precious. Your gift will keep on giving for many years to come, providing rest and recuperation for hundreds of people affected by leprosy. You can say to a friend or relative, "you have paid for someone to stay for a whole day in a leprosy hospital. They could never have possibly afforded this without you." Your gift will help them overcome serious disabilities and rejoin their community. Imagine if your eyes could never fully close. Tiny specks of dust and dirt could cause infection, irritation and blindness. That's what can happen when leprosy damages the eye's nerve endings. These glasses are a simple but effective way to protect vulnerable eyes and save someone's sight. This gift will provide a range of hardy seeds for fantastic vegetables, along with advice on how to grow a bumper crop. For a family left impoverished and hungry by the consequences of leprosy, this means a source of nutritious food and the chance to earn an income at a market stall. Transform the life of one person living in poverty, affected by leprosy. Your gift covers disease detection, treatment with medicine to cure, plus medical care where necessary such as surgery or physiotherapy. Your gift also has the power to restore that person back into their community, through support, education or help with livelihood. Sewing is the vocation that will never go out of style, but how can a woman sew when her hands and feet have been affected by leprosy? This wonderful sewing machine is adapted to her needs. Your gift will give her all the equipment she needs to earn a living for life. Leprosy can lead to 'drop foot', where the ankle no longer lifts the foot to prevent stumbling while walking. With this amazing gift of reconstructive foot surgery and physiotherapy, you will help someone walk again. Without this gift, a person in poverty with leprosy will never be able to afford to step back into a fulfilling life. Leprosy can cause a tragic cycle of disability: damaged nerves lead to injuries, burns, infections, sometimes resulting in the loss of a limb. What an extraordinary difference your gift of a prosthetic arm or leg will make. If your loved ones include animal lovers, they'll be thrilled that a goat has been given in their name. Happily nibbling away at weeds, leaves and scraps, your goat can be the start of a breeding herd and a sustainable income for a family suffering from leprosy and living in poverty, producing lots of young goats for sale. Like goats, pigs are cheap to feed, easy to care for and don't use much space - so they are a great blessing for poor families struggling with disabilities caused by leprosy. One piglet becomes a breeding sow and soon there is lots of pork and piglets to sell: food for the family and valuable income. Leprosy can lead to a condition called 'drop foot', stopping the foot from automatically lifting to avoid stumbling. Walking becomes extremely difficult, especially for a child. Surgery can correct 'drop foot', and your gift of crutches will enable a child to get back on their feet while they are healing. Left untreated, leprosy can quickly lead to hands becoming clawed. The person is unable to do many everyday tasks most of us take for granted. This gift provides surgery, physiotherapy and a new lease of life. Renting land to grow fruit and vegetables is a life changing gift for someone affected by leprosy. Not only does it give them a vocation in life, it also provides the means for them to grow a business, support a family and raise themselves our of poverty forever. Your gift enables a village health volunteer to be trained for two weeks, learning the foundations of public health. Because of you, a whole village will benefit from having someone to diagnose and find help for the diseases that threaten their lives, including leprosy, malaria, TB, typhoid and cholera. For people in poverty, leprosy attacks their most basic ability to earn a living by hand or on foot. Yet they cannot afford to pay for training in a trade where their disabilities won't matter. So your gift of a training course will last them a lifetime, earning income, independence, dignity and respect. Someone in poverty affected by leprosy might dream of a trade, but the price of tools is out of their reach. Your gift includes everything they need to start working and earning, along with really good training from the Leprosy Mission. You are giving them a productive career, plus a whole new standing in the eyes of their community. Just imagine how your wonderful gift of a cow will bless the life of a family affected by poverty and leprosy. Your cow will give them milk, transport, manure for growing crops, and a complete change in their community standing. Your gift also includes their training in animal husbandry and support to make a dairy business that's truly sustainable. This is a gift for many families, because everyone in a leprosy-affected village can share in the blessings of turning the village pond into a fish farm. Your Really Good Gift gives them their first stock of fish and food. Before long your gift will be a sustainable source of food and income for the whole village. An education is the most valuable asset a young person can attain. This incredible gift covers an approved course, accomodation and all living expenses for one child for a year. More importantly, it gives someone affected by leprosy the means to earn an income and support themselves for a brighter future. Your gift will give life back to someone who cannot walk because their feet and legs have been so badly affected by leprosy. By giving them a tricycle they can pedal by hand, you will help them gain priceless independence and self-reliance, so they can make a living and take part in community life. 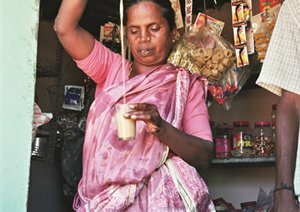 Your tea-loving friend will enjoy knowing that they have enabled a leprosy-affected family to open a small teashop, along with all the training and support they need. Because it all happens in one small space, a teashop is ideal for people whose mobility has been affected by leprosy. Rickshaws are a form of common daily transport in countries like India and Bangladesh, providing a good livelihood. What an exciting gift, so a family provider can have a healthy lifestyle and reliable income for many years to come.